CHAPPAQUA, N.Y. – Parking spaces with electric vehicle (EV) charging stations will be returning to the Chappaqua train station later this year, Town Administrator Penny Paderewski said this week. The Clean Vehicle Rebate Project, the source of the $2500 of additional incentives for electric car purchases, which was running low on funding, received new funding from the Air Resources Board. After nixing its electric A3 e-tron, Audi takes out the prettier R8 e-tron and laps best ever electric car lap for a production EV at the Nurburgring. On or about May 1, 2009, Elon Musk, the Silicon Valley entrepreneur and CEO of the electric car maker Tesla Motors, fired off an angry email to me regarding a story I had written in the pages of my then-employer. The builder of high-end electric vehicles aims to educate consumers about its products in factory-owned retail stores before they eventually go car shopping. The power: 362 horsepower and 325 pound-feet of torque coming from an 85 kWh battery and a rear-mounted, liquid-cooled, AC induction motor routing power to the rear wheels. General Motors launched the “extended-range electric” Chevrolet Volt in December 2010 but apparently misconceptions about it are so common the company has been compelled to run commercials to help get the message out. SALT LAKE CITY–(EON: Enhanced Online News)–The University of Utah has placed an order for a 40-foot, all-electric transit bus with BYD Company Limited (BYD) the largest manufacture of all-electric buses in the world. 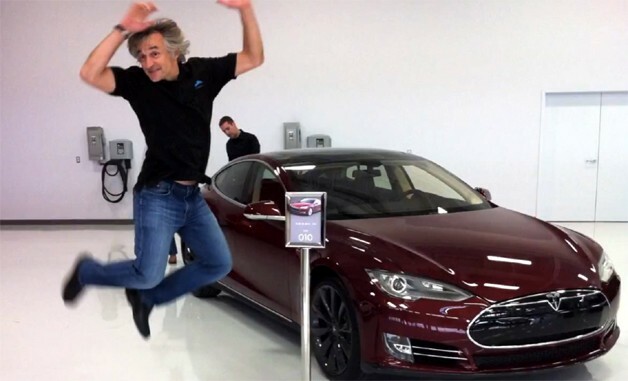 Konstantin Othmer loves his Tesla Model S. The serial entrepreneur was one of the lucky few who took delivery last Friday at the car’s official launch and as such, he is one of just a handful of people who have had more then a mere ten minutes behind the wheel. 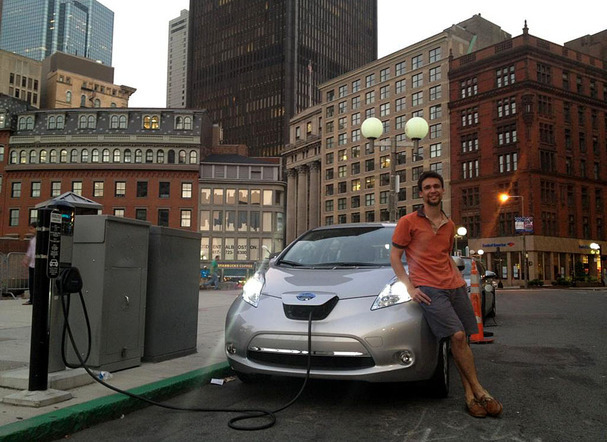 That’s me smiling, because now I don’t have cold sweats worrying about the city’s nearest charging station. Honda Motor Co. (7267), the first automaker to lease fuel-cell cars to retail customers, said advances in hydrogen-vehicle technology helped it create a battery-powered Fit that has the highest efficiency of any car in the U.S.
USA: Should Apple buy Tesla because of the shortage of lithium for batteries? Both Apple and Tesla depend on lithium ion batteries, making some float the theory that Apple should buy Tesla because both require companies “massive amounts of lithium”. ELECTRIC vehicles may soon have a place to power up in West Vancouver after council voted to apply for provincial funding to install charging stations at two of the municipality’s community centres. The second annual National Plug In Day is on Sunday, September 23, 2012 and we are throwing a party to celebrate the plug-in electric vehicles now available nationwide. With simultaneous events in 25 cities, last year’s National Plug In Day was the country’s largest grassroots EV event in history. With your help, this year can be bigger. Toyota has been named the world’s Best Global Green Brand for 2012 for its leadership in innovation, environmental sustainability and fuel efficiency. It’s the second successive year the automotive giant has held the top spot of all world brands in 13 sectors.